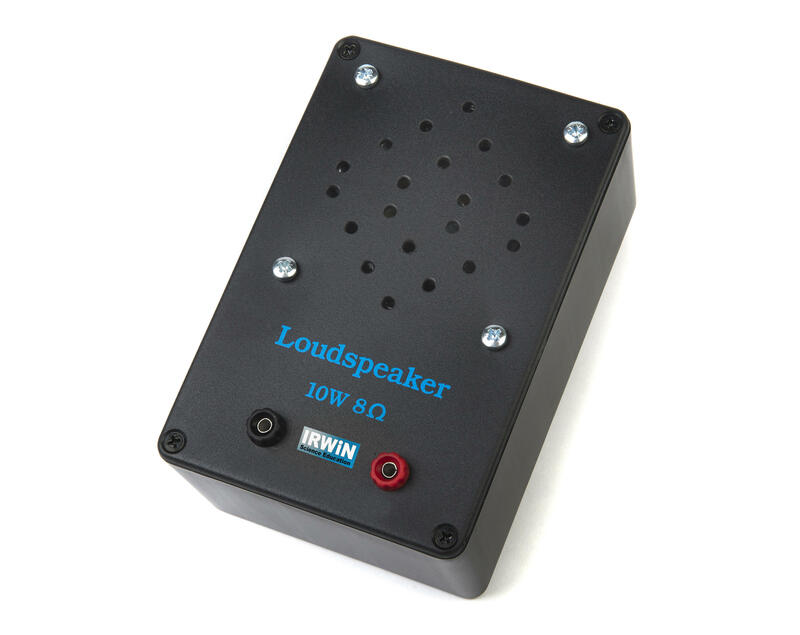 The Irwin compact loudspeaker unit is fitted with a 10 watt, 8Ω driver. Connection is via colour coded 4mm sockets. Fitted into a durable ABS case.